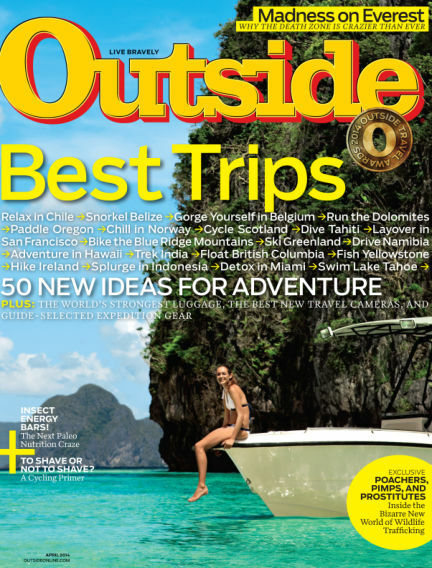 In this issue of Outside : Outside magazine, America's leading active-lifestyle and adventure-travel magazine dedicated to covering the people, activities, gear, art, and politics of the world outside. With Readly you can read Outside (issue April 2014) and thousands of other magazines on your tablet and smartphone. Get access to all with just one subscription. New releases and back issues – all included.